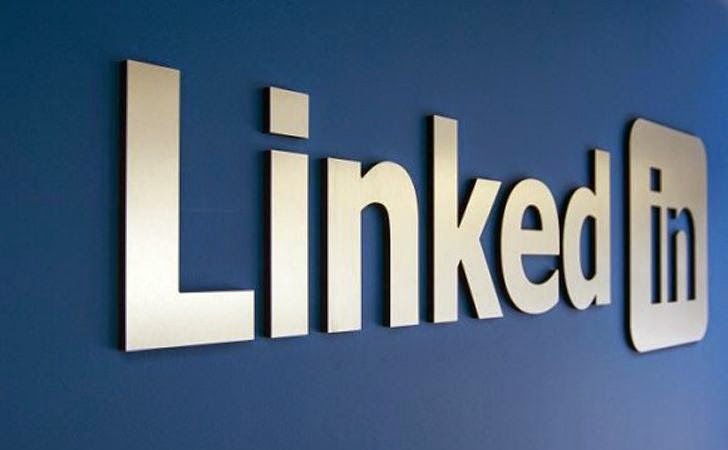 With a need to give more controls in users’ hands, LinkedIn has introduced a few new security features that the company says will help users of the social network for professionals keep their accounts and data more secure. Just like Google, Facebook, Yahoo and other online services, LinkedIn has added a new option within the settings tab that allows users to see where and on what devices they are logged into their account. 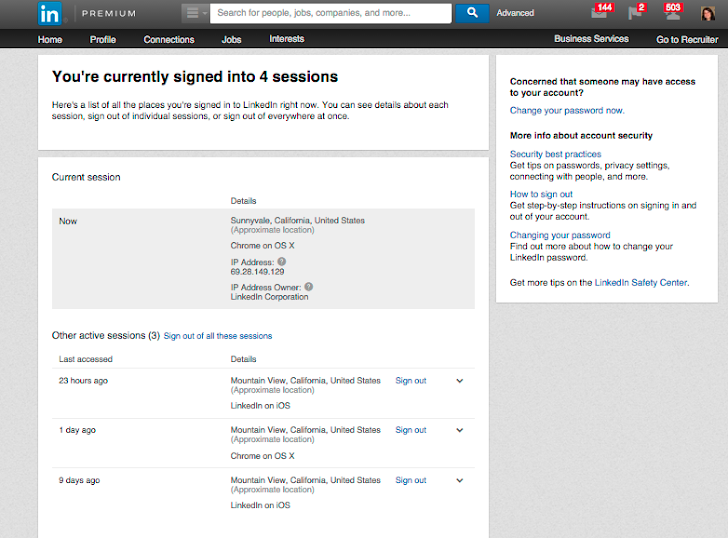 From there, users can sign out of various sessions with one click. This will include details about the users’ current sessions, the browser name, operating system, carrier and IP address, which is used to give an approximate location of the device through which the session is occurring. Just like the Facebook feature, LinkedIn lets people to approve the devices to be used, and if somebody accesses a user’s LinkedIn account from an unapproved device it will alert user. 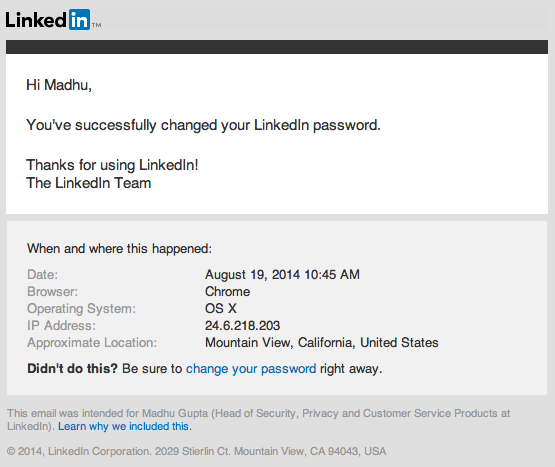 LinkedIn has also introduced its password change email alerts. Like many online services, LinkedIn will now alert users via an email when their password reset has initiated, and when it has been changed. It will also give you a sense of where that request originated as well. “The added information gives your more insight into when and where the account change took place, including the date and time and details on the device the device the changes were made on such as the browser it was running, the Operating System (OS), IP address, and approximate physical location,” LinkedIn's head of privacy and security Madhu Gupta explained in a blog post. Furthermore, LinkedIn is making users’ stored data totally accessible to the users who created it, so that users can export it and see their each and every activity and account history, including who invited you to join, when you last logged in, updates, IP records and many more. In short, you can request access to your archive of activity and data on LinkedIn and it may take 72 hours for LinkedIn to compile the archive, after which you’ll receive an email with a link to your entire data. “We are in the process of rolling these three new tools out globally now and encourage you to take a look at your settings today to see two of these new tools. It's also a good opportunity to remind yourself of all your settings and make sure they are right for how you are using LinkedIn now,” wrote Gupta.